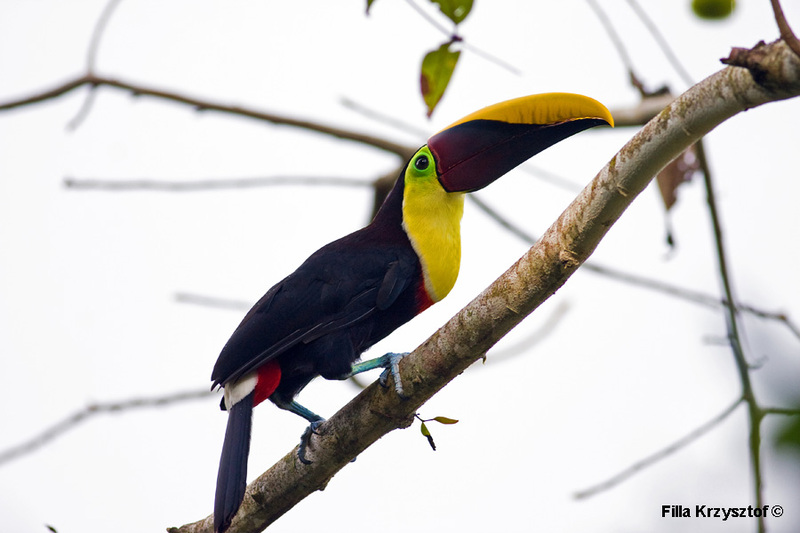 The chestnut-mandibled toucan (Ramphastos ambiguus ). They move around in flocks of 3 to 12 birds. It is a spectacle to watch and listen to them especially in the evening when they call each other.